This clearly shows that Capt Amarinder is making false promises to only to lure their votes in the upcoming polls. He does not even know that there are about 4 Lakh employees in the Punjab government of which nearly one Lakh are pensioners”, said Phoolka.He said moreover why should people of Punjab believe Capt Amarinder at all who had promised job recruitments in his 2002 manifesto as well but did exactly the opposite after becoming the chief minister.It was Capt Amarinder who imposed a blanket ban on the recruitment drive in Punjab immediately after coming to power in 2002. “Not only that he also issued notification for discontinuing with the pension and other welfare schemes for the employees, disabled and senior citizens”, said Phoolka.Phoolka said Capt Amarinder claims to be the champion to the cause of the Punjab farmers but it was during his tenure when the peasantry was forced to commit suicides and as chief minister he even refused to pay adequate compensation to their distressed families.Phoolka said it was Capt Amarinder who after coming to power immediately ordered to withdraw free power to the farmers of Punjab who were reeling under heavy debt. 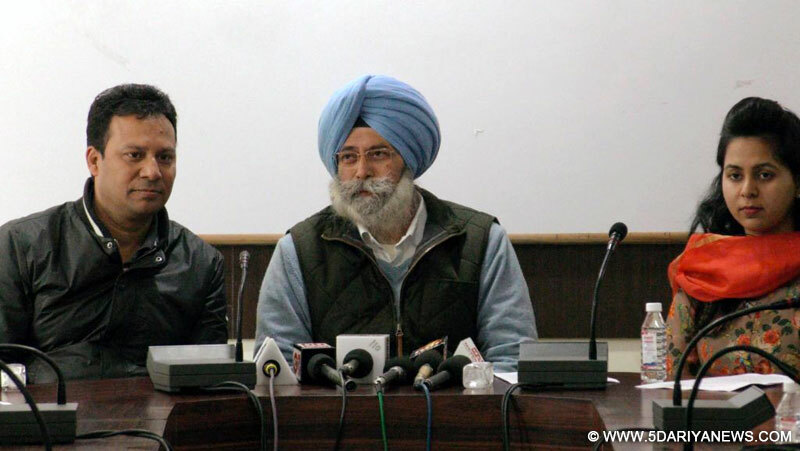 He being the chief minister of Punjab from 2002 to 2007 did nothing to give any financial or monetary relief to the farmers of Punjab who were under heavy debt.Phoolka said while AAP in its manifesto promised to waive off the small and marginal farmers’ loan by December 2018, Congress in its manifesto would initiate such an exercise by waiving off the loans which would benefit only rich farmers and people such as Capt. Amarinder and Manpreet Badal. Phoolka said now congress also promises in its manifesto to implement OROP scheme. “The congress was in power at the centre government for 10 years from 2004 to 2014. Why it never occurred to the congress to implement the OROP scheme at that time. It only shows this is again being promised keeping the Punjab polls in mind”, added Phoolka.Phoolka also ridiculed the congress manifesto for promising no VIP culture and red beacons atop official vehicles of the chief minister, ministers and other government functionaries.“I am glad that congress which has ushered in the VIP culture in the Indian politics and carried on with it for nearly 70 years now talks of getting rid of it. It is a sheer sham and Congress is forced to make such promises only under pressure from AAP which does not believe in VIP culture at all. If congress is indeed serious it should first set an example by initiating a non VIP culture from Sonia Gandhi, Rahul Gandhi and ministers in other states. But people know it very well congress can never shed away the VIP culture which is in its blood”, said Phoolka.Last but not the least; Phoolka said Capt Amarinder promises to abolish drugs in Punjab within four weeks after coming to power. Isn’t it laughable? The man who saved his nephew and Akali minister Bikram Singh Majithia from the CBI probe into Rs.6000 Cr drug racket in the state is now talking about abolishing drugs.“Captain lobbied liquor business in Punjab through Ponty Chaddha and now talking about limiting it. Does he think people of Punjab will trust him?” asked Phoolka.“When Capt Amarinder has no hesitation from bringing in Sarwan Singh Phillaur whose name cropped up in the drug trade and was dropped from the cabinet by the Akali government one can well imagine what steps he would take against the drug trade. Similarly Capt Amarinder has also facilitated the joining of SAD MLA Inderbir Singh Bolaria into the congress party who was the right hand man of Majithia. “Under such circumstances how can anyone believe him what he promises in the manifesto”, added Phoolka.